The 12th edition of IPL is just a couple of days away. The first match will be played between Chennai Super Kings and Royal Challengers Bangalore at MA Chidambaram Stadium Chennai at 8 PM IST. The second match of the tournament will be played between Kolkata Knight Riders and Sunrisers Hyderabad at Eden Gardens Kolkata on March 24 at 4 PM IST. In IPL 2018, SRH were the runners-up while KKR finished at third position. KKR and SRH have met each other in IPL 15 times. KKR have won 9 of them while SRH have managed to win 6. While KKR have won the title twice, SRH have lifted the trophy once. This year, key players for KKR would be Dinesh Karthik, Kuldeep Yadav, Sunil Narine and Andre Russel. On the other hand, the return of David Warner is a big boost for SRH, and their bowling department is safe in the hands of Bhuvneshwar Kumar and Rashid Khan. On that note, let us look back at the played between these two teams, in the 2018 season of the IPL. The first match between KKR and SRH, in IPL 2018, was played at Kolkata on April 14, 2018. SRH won the toss and elected to field first. Batting first, KKR lost Uthappa in the third over. Lynn continued to keep the scoreboard ticking, but there was not enough support from other batsmen. He scored 49 from 34 balls. The other batsmen who got into double digits were Nitish Rana (18 from 16 balls) and Dinesh Karthik (29 from 27 balls). SRH bowlers restricted KKR to 138/8. 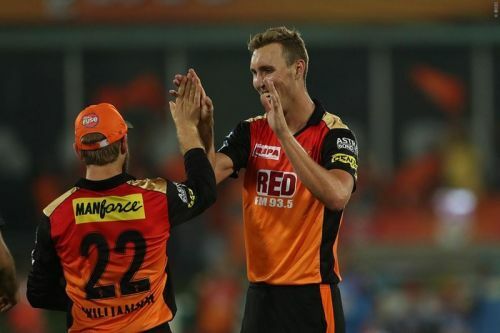 Among the bowlers, Bhuvneshwar Kumar picked 3 for 26 and Billy Stanlake and Shakib Al Hasan picked 2 each for 21. SRH lost Dhawan early in the chase. But they approached the target steadily with Williamson scoring a 50 from 44 balls and Saha scoring 24. SRH chased down the target in 19 overs with the contributions from Shakib (27 from 21 balls) and Yusuf Pathan (17 from 7 balls). For KKR, Narine picked 2 wickets for 17 runs. Stanlake was named Man of the Match for his bowling figures of 4-0-21-2. 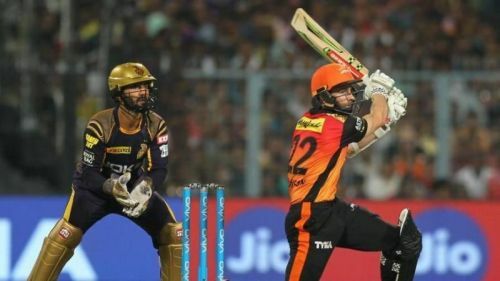 IPL 2019: Match 38, SRH vs KKR: Match Prediction - Who will win today's match?